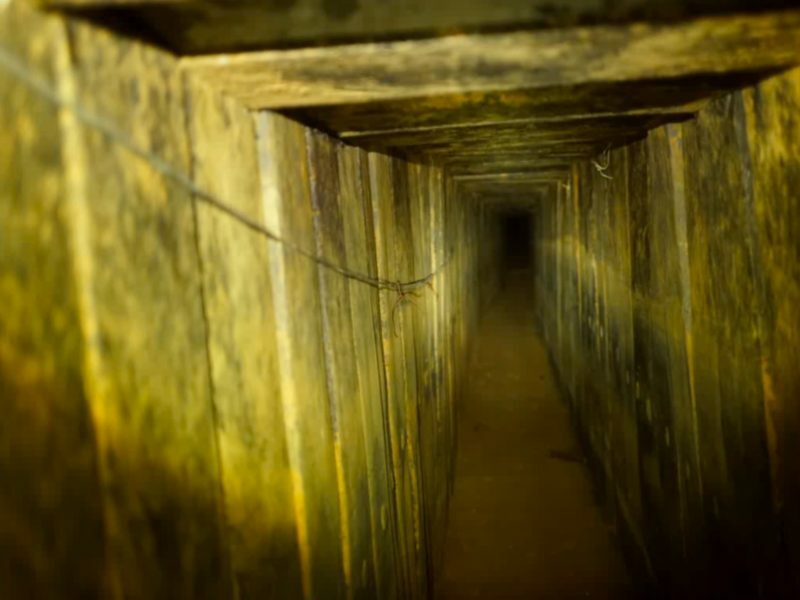 The IDF announced on Thursday that it neutralized a half-mile-long tunnel penetrating 200 meters into Israel from the central Gaza Strip. This comes after the IDF closed off several main roads across the Gaza border region earlier in the day. According to the IDF Spokesperson the army had been monitoring the tunnel until its neutralization on Thursday morning. The tunnel was neutralized in an engineering operation Israeli territory, led by the Southern Command, the Intelligence Directorate, and MAFAT – the Defense Ministry’s R&D directorate. The IDF added that Hamas “continues to invest considerable resources in establishing infrastructures aimed at harming Israeli citizens. This economic investment, which comes at the expense of the welfare of [Gaza’s] residents, proves that the population of Gaza is being exploited for terrorist purposes. “The IDF is determined to continue defending Israel’s sovereignty and the security of its citizens and is acting decisively against terrorism,” it concluded. Since October 2017, 15 tunnels from the Gaza Strip have been neutralized as part of an ongoing effort to locate and neutralize terrorist tunnels, a technological, operational and intelligence effort that began with Operation Protective Edge and was expanded over the last few years.